I created a makeup line taking a content, application, and promotion approach. 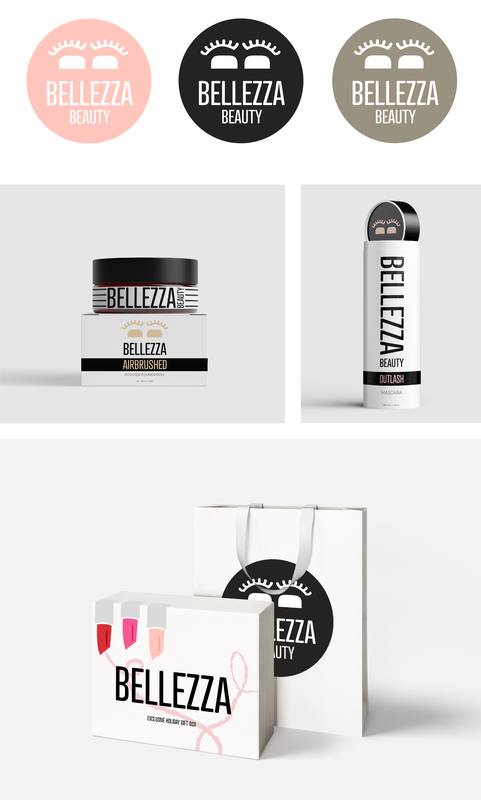 I named my company "Bellezza" which translates to "beauty" in Italian. 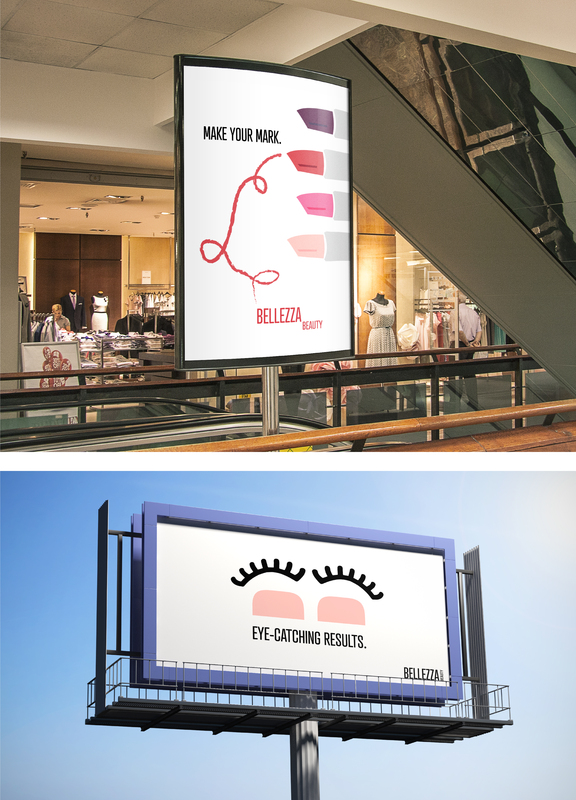 Content: The first step was to develop my logo which is a set of eyes with eyelashes formed around the “B” in Bellezza, I did extensive research to come to the perfect shape and style to fit my brand.